I'd like to dispel a common myth our team hears from clients, which is that they can build a loyal customer base by offering rash and random discounts. Such discounts appeal to what researcher Paul Wang, PhD defines as transaction buyers, whose psychology is: "I want to get the best deal." They come for the price, and they’ll leave for the price. Think about your price conscious guests, who may ask if you are able to price match another spa. While your goal is to ensure they have an unsurpassed spa experience, at the end of the day, their main focus will always be the cost of the service not the quality of their experience. That’s why it’s best to maintain the value of your services and avoid offering continuous discounts. As an alternative, here are some ways to leverage your spa’s payment options to optimize your client’s experience. 1. Train your team to identify whether guest hesitation is a budget or cash flow issue. This answer will help you tailor the message. If the guest truly can't afford the treatment, it's a budget issue. Offer a less expensive service or product. If they can afford it, they may be uncomfortable paying for the whole treatment at once. Resist the urge to discount! Instead, let them know you accept the CareCredit health, wellness and beauty credit card as a payment option. CareCredit's online calculator allows your team to run payment scenarios in seconds. Example:" I realize that $1,200 is a lot all at once. We offer a 6-month promotional financing option with the CareCredit credit card. Let’s look at what your monthly payment could be." 2. Combine promotional financing with a special offer that addresses a specific issue. For example, to introduce a new aesthetician or drive volume to pay for a new laser, think strategically. Who would like to know you are offering a new treatment or service? Existing guests, of course. Create an email or mailing to all guests seen over the last two years. Announce the new staff or service available and offer a special limited time price for a select service. A simple sentence explaining that special financing options are available with the CareCredit credit card completes the message. 3. Generate the unconverted quote report and create a "schedule filler." For example, in summer months that are often slow, contact guests who left the spa with a quote for laser hair removal, or fillers, but have not yet scheduled. Send them a personalized note such as the sample below. "When we last spoke about laser hair removal, you were exploring your options and cost seemed to concern you. If you've not yet scheduled with another spa, and your schedule is flexible, we'd like to offer you a reduced fee if you schedule in June or July. I know you'll be buying back to school clothes and supplies for your two kids at that time, so you might want to use our 6-month special financing options through the CareCredit credit card to pay over time*! "Exclusives" work better than giving discounts to everyone. Don't blast out special offers to everyone in the email database or post them to Facebook. Make it feel personal and exclusive. For instance, mine your database for guests who are regular skincare product purchasers. Send invitations for a special event that discusses CoolSculpting or laser treatment and encourage them to invite a friend. Explain payment options as part of your presentation and have an iPad on hand for people to easily apply for the CareCredit credit card . All attendees leave with a goodie bag that includes information about the CareCredit credit card and a special treatment pricing offer valid if scheduled within one month. 5. Combine CareCredit's Available Credit report with a targeted offer. This highly useful report is available in the CareCredit provider portal. It displays people who have been approved for CareCredit, along with the amount of available credit on their account. Develop several, limited time specials at different price points and contact people whose available credit amount is a match. "I noticed that you have $800 to spend using your CareCredit credit card." "We're contacting you about our THERMI special offer. 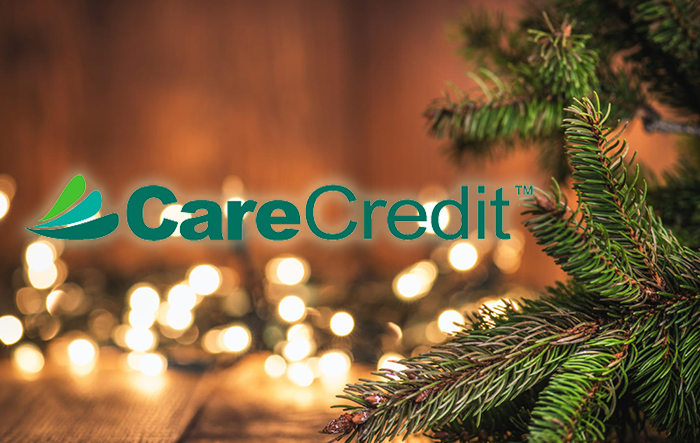 For those who use CareCredit's 6-month or 12-month special financing option, we are extending a special price of $____ and our records show that you are the perfect candidate for this limited time offer." Subject to credit approval. Minimum monthly payments required. See CareCredit.com for details. “You have $700 left to spend on your CareCredit credit card, would you like to rebook now?” “We noticed that last time you visited us, you received a laser treatment with one of our technicians. So, we thought you might be interested in learning about some of our similar treatment options. We would love to book a consultation for you with one of our estheticians. Right now we are offering an exclusive price if you were to use your CareCredit credit card for payment. This service cannot be utilized in Day Spas, Med Spas only. These simple tips have been provided by Karen Zupko on behalf of CareCredit. Karen is president of KarenZupko & Associates, Inc., She has been advising aesthetic practices about marketing and management for more than 30 years. www.karenzupko.com. About CareCredit: CareCredit is a health, wellness and personal care credit card dedicated to helping people get the care and treatments they want and need. For more than 30 years, CareCredit has helped millions of people by offering special financing options with convenient monthly payments. CareCredit is accepted at more than 200,000 locations for a wide variety of health and wellness procedures, treatments, products and services. CareCredit is a Synchrony solution. Synchrony is the largest issuer of private label credit cards in the U.S. based on purchase volume and receivables. Visit carecredit.com to learn more. This content is subject to change without notice and offered for informational use only. 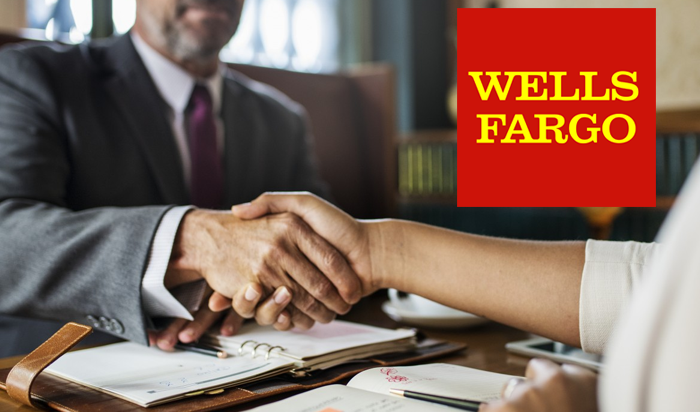 You are urged to consult with your individual business, financial, legal, tax and/or other advisors with respect to any information presented. Synchrony and any of its affiliates, including CareCredit, (collectively, “Synchrony”) makes no representations or warranties regarding this content and accept no liability for any loss or harm arising from the use of the information provided. All statements and opinions are the sole opinions of Karen Zupko. Your receipt of this material constitutes your acceptance of these terms and conditions. The holiday season is upon us and your clients will want to end the year on a positive note by treating themselves to aesthetics services to help ensure they look and feel their best. Take advantage of this period by offering specials and promotions that tie to the holiday season. Follow these simple tips and experience success throughout the season and beyond, well into the New Year. First, monitor trending treatments and maintenance procedures to best serve your clients and help them achieve the healthy, well-rested and refreshed looks they desire. Capitalize on popular wash and wear treatments, which can be done in a lunch hour or before and after work. Head-to-toe skincare and minimally invasive body refinement services are also hot through December, ensuring clients look their best as they head from one holiday party to the next. The holiday season is a great time to launch new treatments and therapies designed provide multiple benefits. Facial treatments, for example, can grouped together as exclusive “add-on’s” to offer greater value and benefits. Promote these offerings via social media and e-blasts so your clients are in the know. With new treatments that address more of their concerns, your clients will be more likely to book extended versions of each treatment during their next visit. While many of your clients may want to take advantage of seasonal treatments, they may not have a strategy in place for how to pay for their aesthetic services. Help them by offering a payment option like the CareCredit credit card. With promotional financing options* including no interest if paid in full within 6, 12, 18 or 24 months** your clients can purchase and enjoy all the treatments and promotions the season has to offer without dipping into their holiday gift giving budgets. 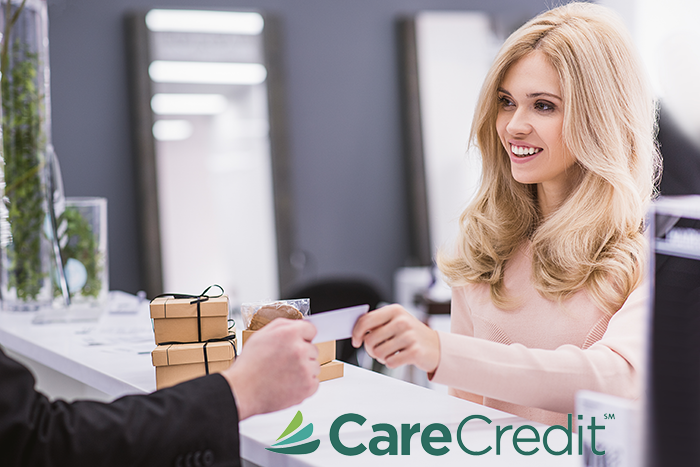 CareCredit works with more than 210,000 provider and retail locations across a broad range of specialties including medical care, beauty, dental, optometry, hearing and veterinary services. With CareCredit’s 11 million cardholders, spa and med spa businesses can get connected to a new client base, while providing optimal service for current clients. 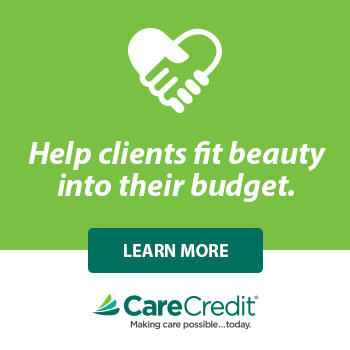 Visit carecredit.com/beauty now to learn more and enroll so you too can offer your clients CareCredit as a preferred payment option. *Subject to approval. Minimum payments required. **No interest will be charged on the promotional purchase if you pay the promotional purchase amount in full within the 6, 12, 18, or 24-month promotional period. If you do not, interest will be charged on the promotional purchase from the purchase date. If your purchase qualifies for a 24-month promotional offer, fixed monthly payments are required equal to 4.1667% of initial promotional purchase amount until promotion is paid in full. The fixed monthly payment will be rounded up to the next highest whole dollar and may be higher than the minimum payment that would be required if the purchase was a non-promotional purchase. For all other promotional offers, the regular minimum monthly payment terms of the account will apply. Regular account terms apply to non-promotional purchases and, after promotion ends, to promotional balance, except the fixed monthly payment will apply until the promotion is paid in full. For new accounts, Purchase APR (interest rate) is 26.99%. Minimum Interest Charge is $2. Existing cardholders should see their credit card agreements for their applicable terms. Subject to credit approval. 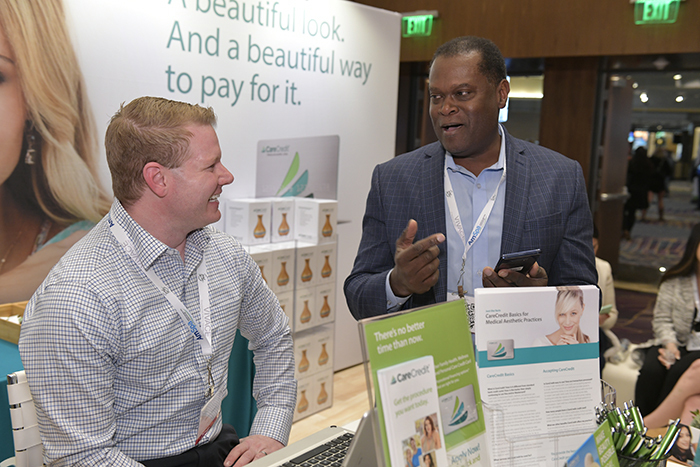 CareCredit has partnered with the American Med Spa Association to help spa and med spa industry professionals bring the benefits of CareCredit to their practices. Providers can now offer clients access to more treatments and services while also expanding their potential client base to CareCredit’s 11 million cardholders. Participating spas and med spas will also become a part of the CareCredit network of qualified providers, which receives more than 850,000 searches per month. 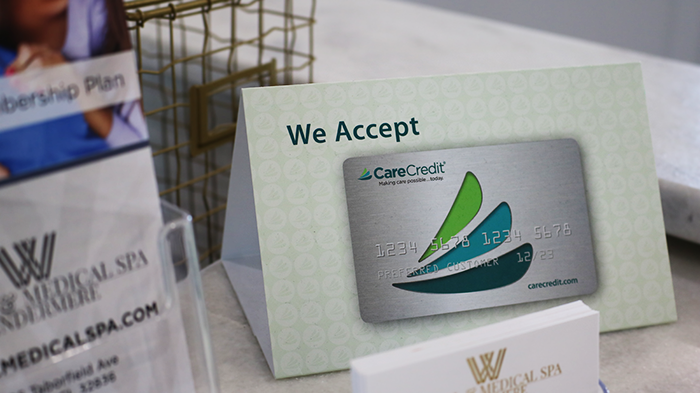 The partnership was developed in conjunction with CareCredit’s recent expansion into the day and medical spa markets—helping spa providers drive growth by providing an additional payment option for consumers. 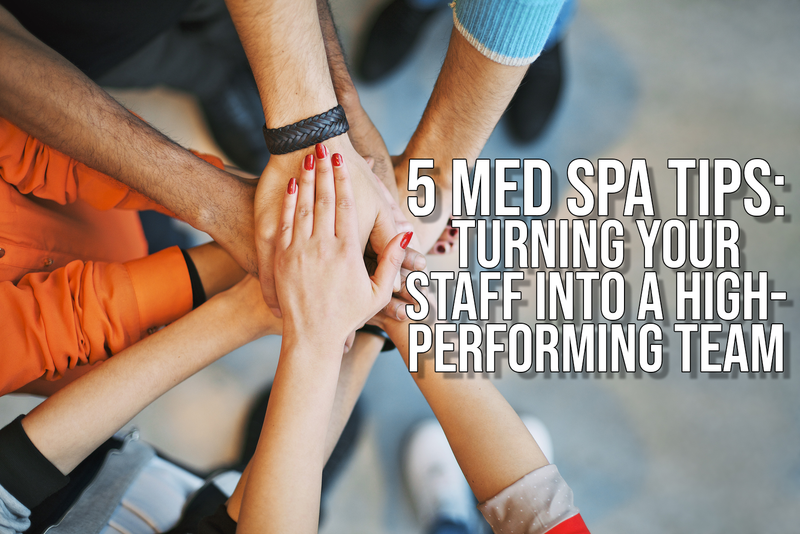 Day and medical spas are an attractive growth segment for CareCredit. According to the Global Wellness Institute Global Economy Monitor, wellness is a growing trend showing no sign of slowing down, having become a $3.4 trillion-dollar global industry as of January 2017. Over the next five years, the medical spa market opportunity is expected to grow at a rate of 8% year over year through 2022. Working with more than 200,000 providers across a broad range of specialties including medical care, beauty, dental and veterinary services, CareCredit helps people care for themselves and focus on their overall wellbeing, while also helping small business owners offer more payment options. In turn, small business owners can enjoy peace of mind while using CareCredit to grow their business and clientele. All AmSpa Members receive 20% off merchant fees on purchases over $200. Click here to learn more about CareCredit. Aesthetic medical providers beware: The FDA codified its classification order for microneedling, likely putting practices using non-cleared devices at greater risk. As of March 1, there is only one FDA-cleared microneedling device: SkinPen® by Bellus Medical. 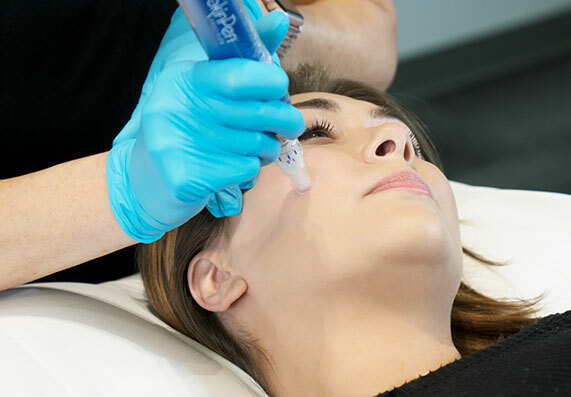 According to Sanchez, the classification order makes all non-cleared microneedling devices of any kind subject to enforcement actions, such as refusing entry for imported derma rollers and pens as well as issuing warning letters to non-compliant manufacturers. Read Sanchez’s post on FDA Atty to learn more about the classification order and the new risks for doctors and aestheticians. 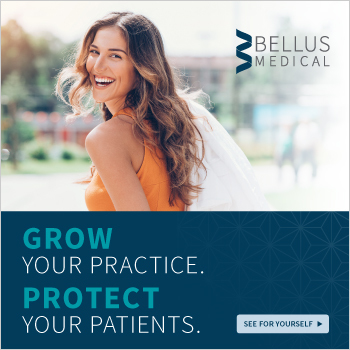 Click here for more information on Bellus Medical, and click here to read more about the SkinPen® in AmSpa’s medical spa treatment directory.